Rely on our legal assistance to receive the spousal support you deserve. The only way to truly protect your financial interests in the event of a divorce is by hiring an attorney. Tom E. Smalley, Attorney at Law, specializes in the field of family law and divorce, including spousal support. AAs a divorce agreement dictates your finances for the foreseeable future, choose the assistance of our spousal support attorney to help you establish and maintain your new situation. In cases where one spouse earned more than the other, or a child or children are involved, don't agree to a legal arrangement without seeking out a spousal support lawyer in Waxahachie, TX. If you are burdened by exorbitant alimony payments we can help. A significant change in your financial situation provides enough grounds to make a modification to an alimony agreement. Get the help of our spousal support attorney as you reopen and renegotiate the terms of your agreement. From job loss to disability, unforeseeable factors give you the chance to free yourself from an unfair burden of paying alimony. 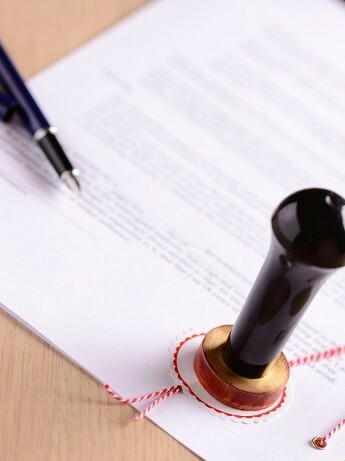 Before you make any legally-binding agreements, book a free consultation with our alimony attorney. We are available for meetings in our office or at a location that is convenient for you. Everyone on our team treats you with care and gives your case the one-on-one attention it deserves throughout every step of the process. The separation of divorce can shatter children when an unfair custody settlement leaves them without enough support from a parent who loves them. When you need help negotiating custody, make sure you have someone on your side with the extensive divorce settlement experience you need to make smart decisions in your case. Our team works to leverage your rights in the courtroom and at the negotiating table, ensuring you as much time with your children as possible. Our child custody lawyer in Waxahachie, TX, helps you demonstrate your responsible and upstanding character so that you stand out as a healthy and loving provider for your family. With our help, you can ensure that your children understand your commitment to remaining an active presence in their lives. That way, a divorce doesn’t have to mean the end of your family. Bring the power of an experience legal team with you when you need to fight for a fair custody arrangement. Years of working with divorce and spousal support cases gives us unique insight into your situation. We developed our personalized approach client care through careful evaluation of the most effective strategies for the people we represent. If you need help escaping an untenable payment situation after your divorce, we are the right choice for you because we focus on your needs. Instead of applying a blanket strategy for every case to cut down on effort, we take the time to understand the assets and vulnerabilities in your case. When you need an alimony attorney, trust the team that puts in the work to build a relationship with you. Together, we can work toward an agreement that frees you from the limitations of a burdensome support settlement. Get the support you deserve with the help of our alimony lawyer. Contact us today for a free consultation. We are convenient to clients from Waxahachie, Ferris, Italy, Midlothian, and Red Oak, TX.